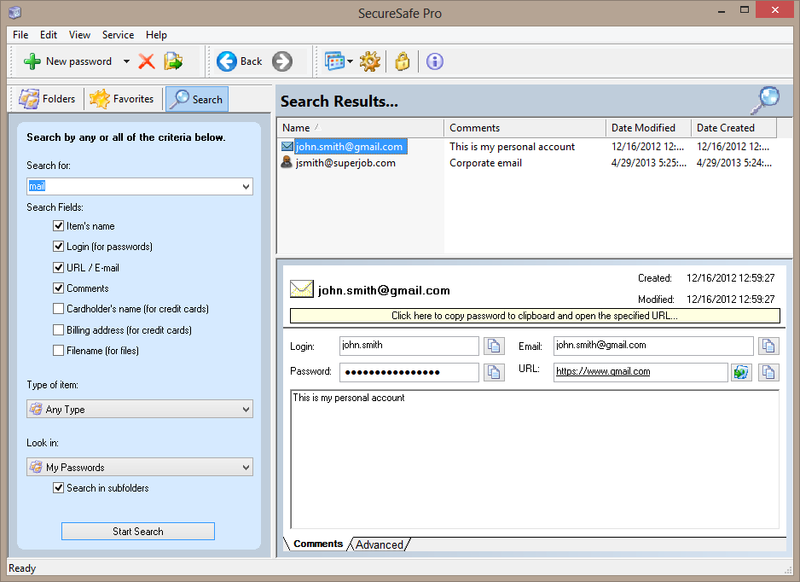 SecureSafe Pro is secure password storage app for Windows that stores passwords in a secure password storage on your computer. This password storage app is a perfect solution, if you want to store your passwords, files, credit card details and any other valuable information in a safe place, where nobody else has access but you. 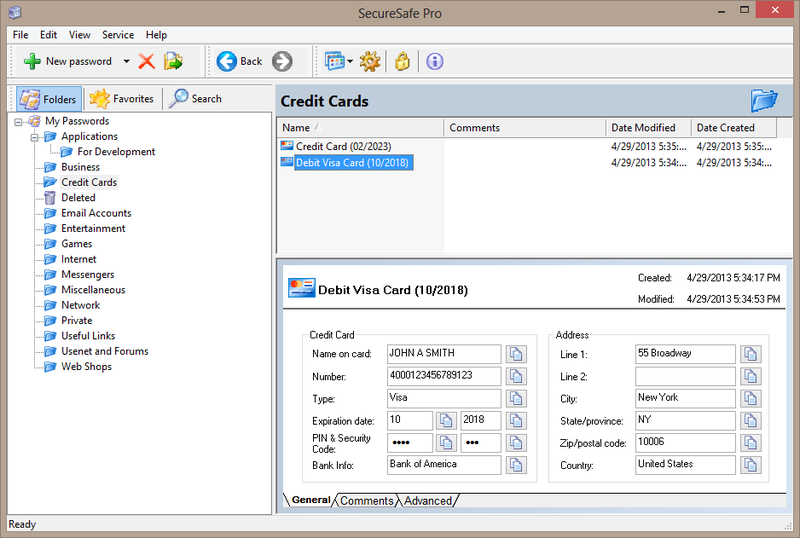 SecureSafe Pro password storage app uses a cutting-edge encryption technique and all the data is stored in an encrypted password database. Keeps all your access passwords and logins in a secure password storage on your computer, protected by a master password. Tough password generator to generate random and secure passwords. It frees you from having to remember all of your passwords and logins - you have to remember only one master password to get access to a secure password storage. You can keep regular files inside the storage app. 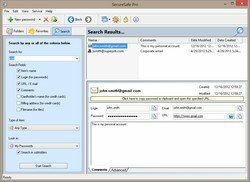 SecureSafe Pro password storage app can be installed on a flash drive and used as a portable password storage app (USB password storage app). Uses military-grade encryption standard approved and used by the US Department of Defense (namely AES, Advanced Encryption Standard with 256-bit key). 330+ custom icons for each item. Very easy to search and navigate. Program icon conveniently located in the system tray. There are no limits to how many entries you can store. 100% free to download and try. 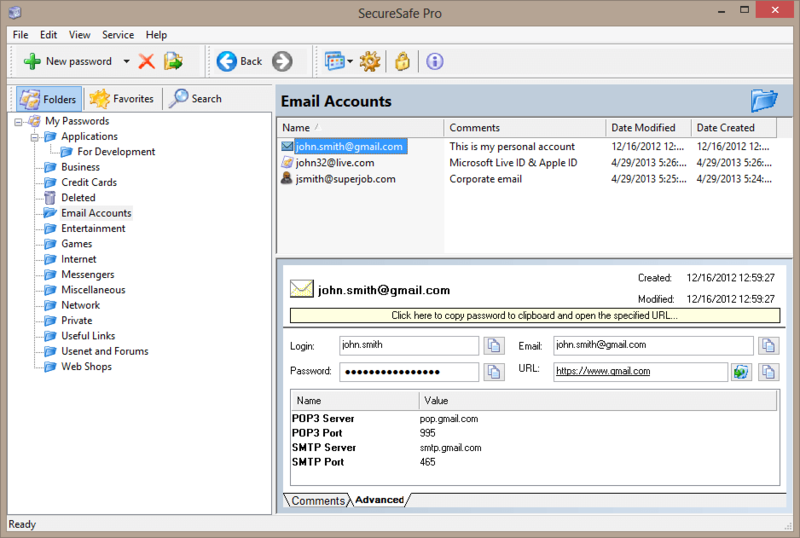 SecureSafe Pro password storage app is able to store even the most sensitive passwords. 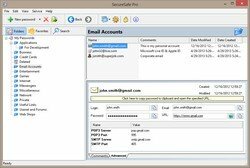 Moreover, you will be able to access your passwords at any time, if you keep your SecureSafe Pro file in a cloud service like Google Drive, Dropbox or any other - then your encrypted password storage will be available anywhere via the Internet. 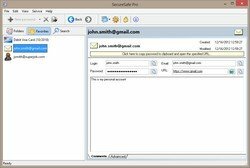 SecureSafe Pro password storage app can withstand hacker attacks as it is strongly encrypted and your information will never be shared to third part. In addition to this, another notable benefit is that the safe comes with a considerable storage capacity and you can upload and download files within seconds. All the fields are customizable for each entry, and you can access the files and documents directly from the secure storage. 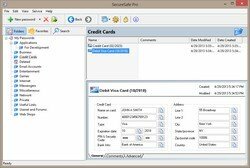 SecureSafe Pro password storage app comes with a 30-day free trial that allows you to enjoy all its features and functions, prior to deciding whether you will buy the software or not. The program comes with five predefined templates that are especially designed for different types of data, from passwords and files to URLs and credit card details. Besides, you also benefit from a variety of customization and personalization options that allow you to manage your data even more efficiently. 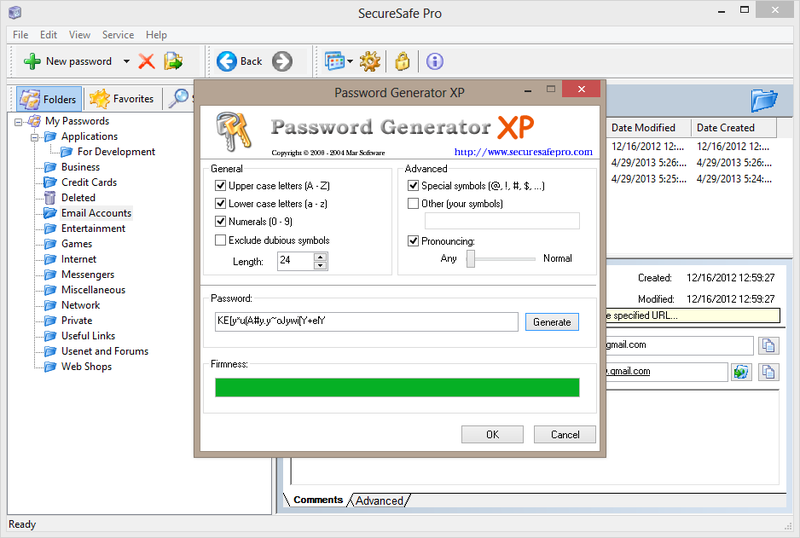 Last, but not least, another important benefit of this password storage app is that it is compatible with most Windows operating systems - it works on Windows 10, Windows 8, Windows 8.1, Windows 7, Windows XP and Windows Vista. If you are always on the go and you want to have the protected files with you wherever you go, then you should know that you can install the software on a flash drive as well and use it as a USB password storage app (portable password storage app)! Our safe and secure password storage app is undoubtedly the most important and most reliable feature of this program, since the data is encrypted using advanced encryption algorithms. All the files are kept inside the app, and you can launch them instantly. The fields of the program are easy to customize, and you can alter them to meet your needs - you can create specific fields for every type of data, or you can store full data in just one general record. 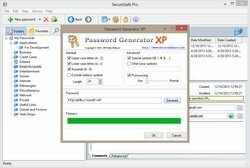 SecureSafe Pro password storage app also has a 90-day money back guarantee, which means that you can get a full refund within 90 days, if you're not satisfied with the quality of this password storage software. Both 32 and 64 bit editions of Windows 10, Windows 8.1 and 8 or Windows 7, Vista, XP. 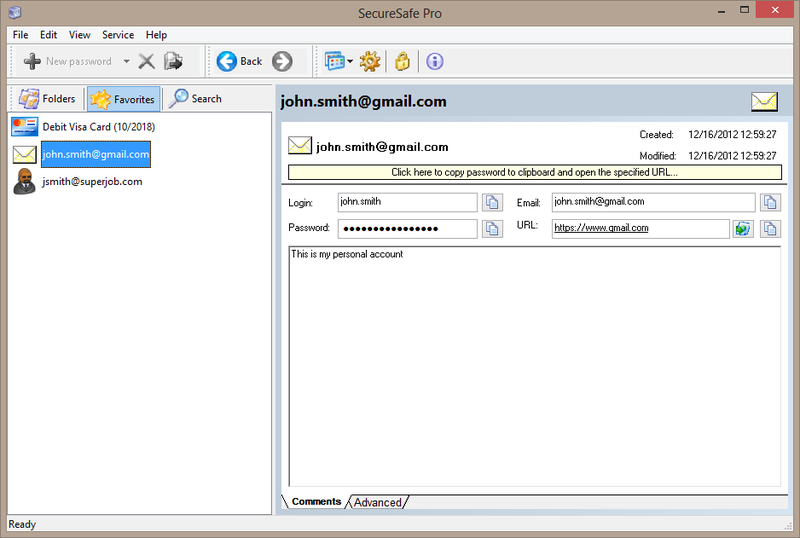 Under Windows Windows 10, 8.1 and 8 SecureSafe Pro Password Storage App works as a desktop app.